People legitimately ask why can’t anyone just receive Holy Communion? After all, isn’t Jesus welcoming to everyone? 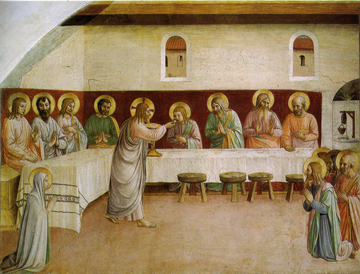 This is the best article I’ve seen which argues logically and biblically why Jesus celebrated the Last Supper only with the apostles and why St. Paul asked the Corinthians to discern their own state of soul before receiving the Eucharist.